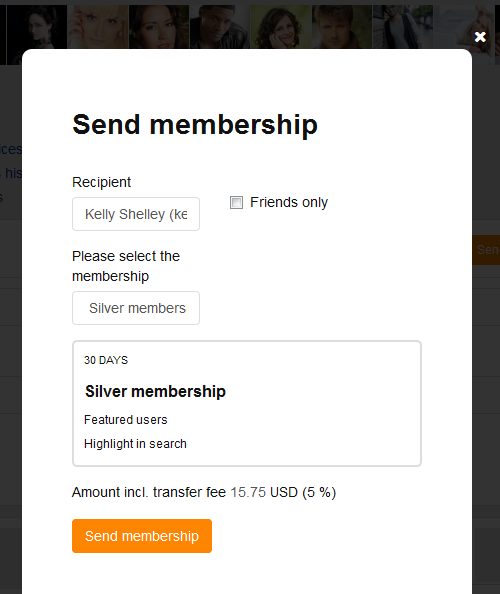 Gift of membership is about site members paying to send each other memberships/VIP statuses as a gift. 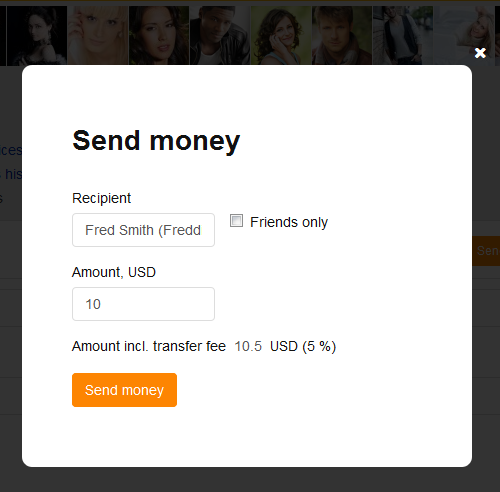 Money gifts functionality lets site members send money gifts to each other. Then they select a site member who they want to send a money gift or a membership gift to, then confirm the transaction, and it’s done. The recipient will receive an email notification and will be able to accept or decline the gift offer. When the sender confirms the transaction from the internal account, the cost of the gift (plus commission) is ‘frozen’ on their account. If the recipient accepts the gift, the money is deducted, and if the recipient declines — the money returns to the sender’s account less the commission.